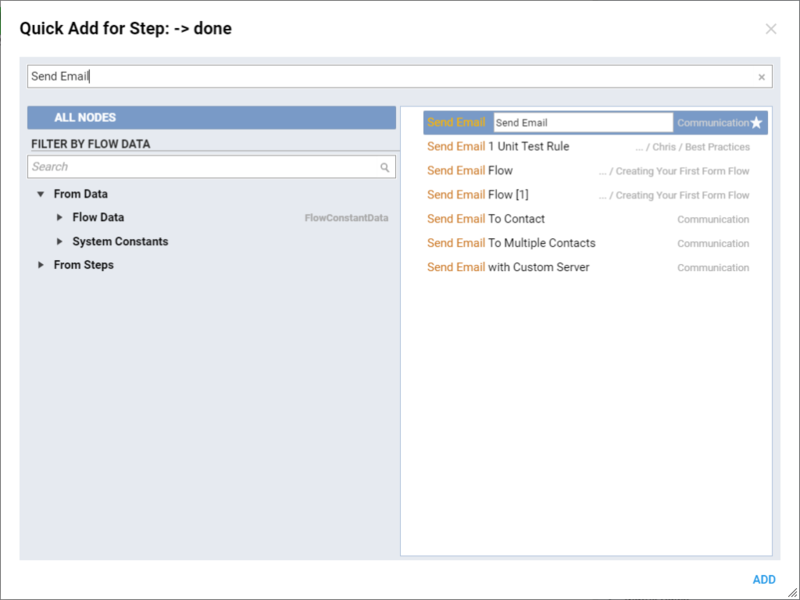 Flow Designer Wizard	is created to ease a flow creation process. This Designer starts up every time we create a new flow. 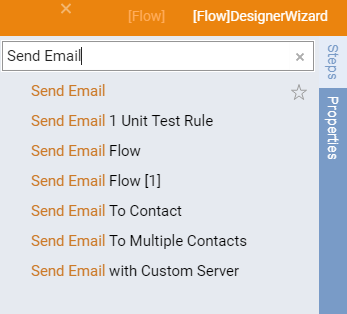 We start this overview from clicking Create Flow	in the Designer Folder to create new flow. Next, name the Flow and click OK	to proceed to the Flow Designer . 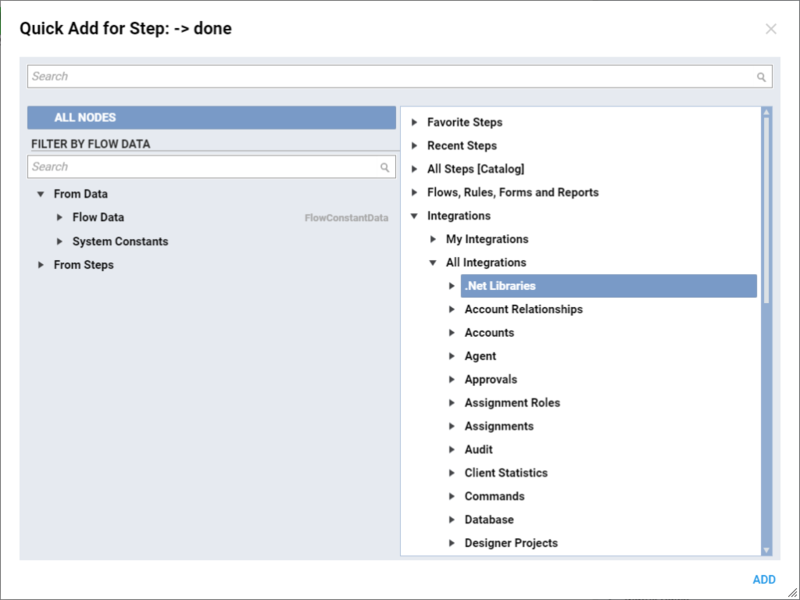 Flow Designer opens and, by clicking on the Path Arrow from the start step, the Flow Designer Wizard	opens on the workspace. 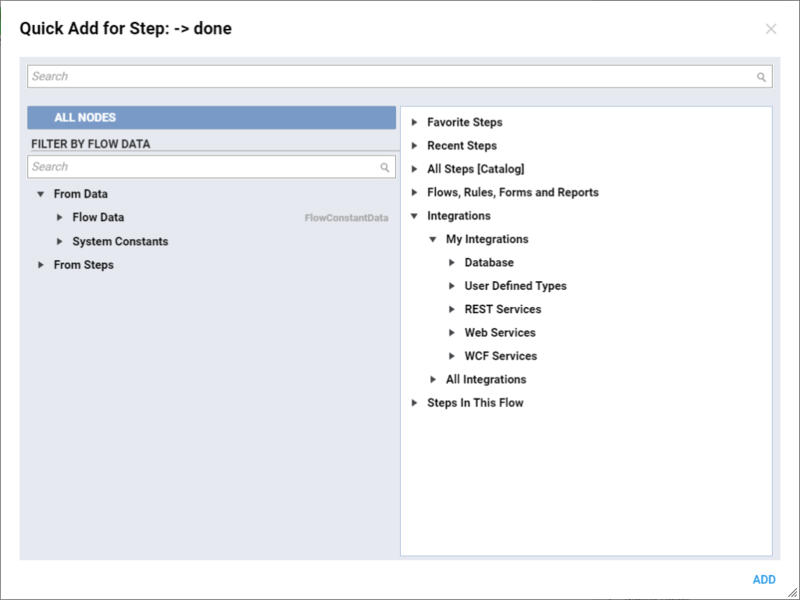 It connects flow&apos;s start	step and offers us to pick next flow step that will be connected to our start step. There are several options for us to find the desirable step. First option is to Browse through the categories by expanding them. 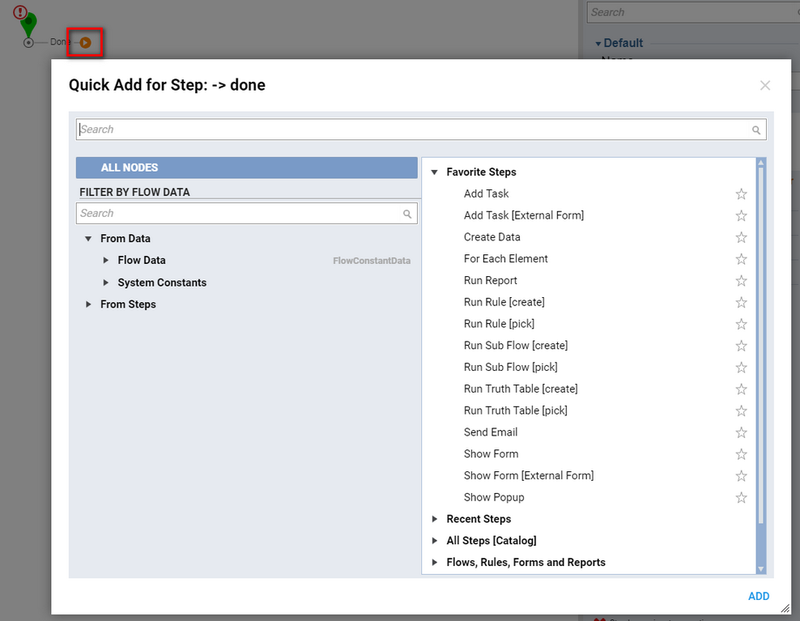 When we reach the step that we need we simply click it and click Add	button to add this step to our flow. This browsing is done the same way that we browse through ToolBox	categories. The only difference is that we don&apos;t have to drag the step to the workspace and provide it with a connection from the previous step. 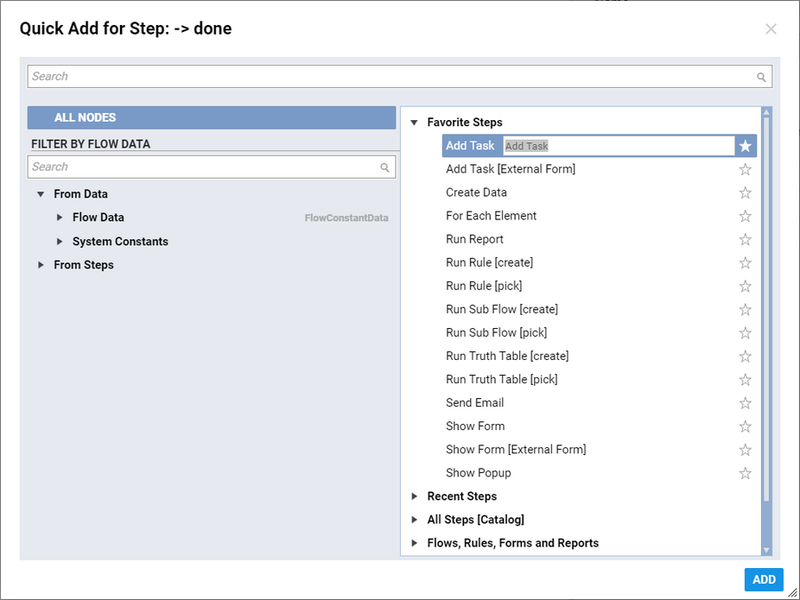 Also, there is a second option to locate desirable step from the Wizard . It has a Search	bar where we can type the name of our step, click Enter on the keyboard, and it will find all steps that match our request. Again, this works just like a search bar in the ToolBox	. 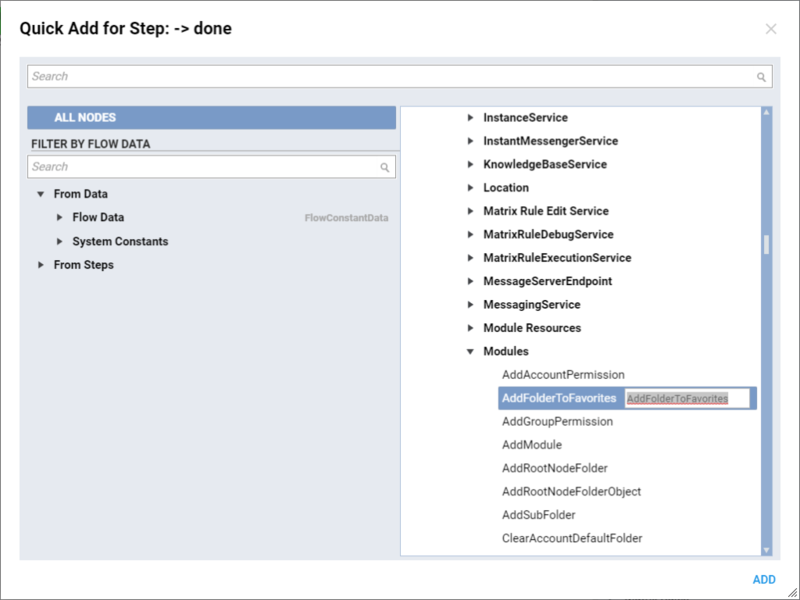 Next, Wizard provides us with two options for Integrations	. When we expand Integrations	category we can see two sub categories: My Integrations	and All Integrations. 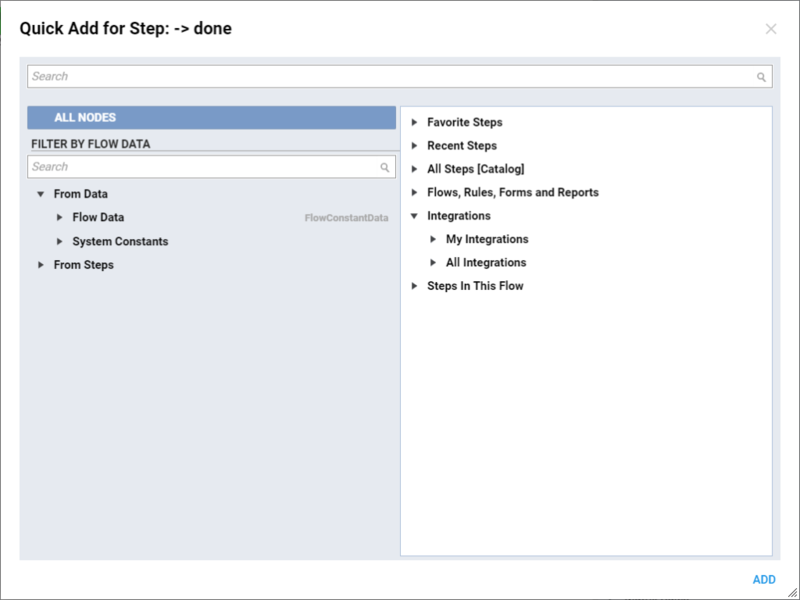 Under My Integrations	we find all the steps to integrate with our Databases and Services . Under All Integrations	we can browse through all integrations like we would do it in the Integrations	category in the ToolBox	. Also under Integrations > All Integrations > Internal Services > Modules	we can find all steps that are available for us to work with modules. Finally, mention that there is one more new category in the Wizard . If we expand Steps In This Flow	category we will see all steps that we used in the flow. 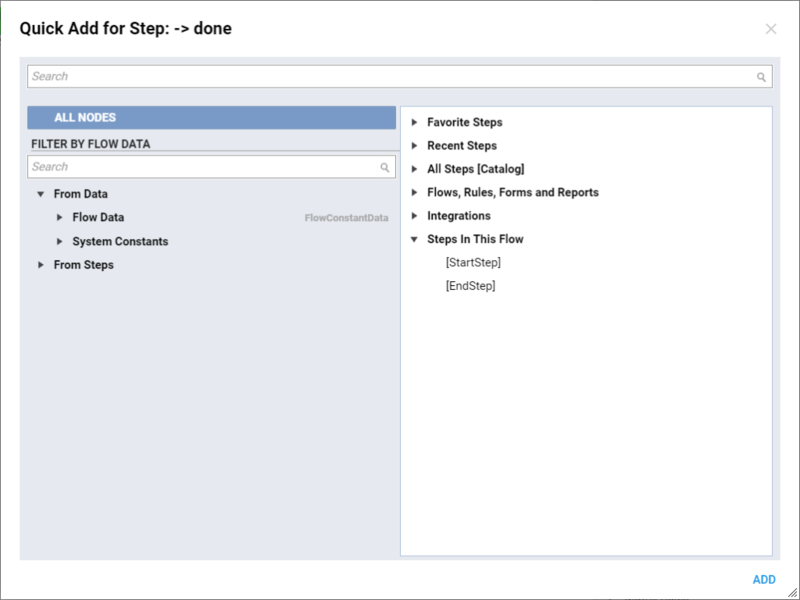 We can select any step and wizard will provide the connection from current step to the step we selected. This is handy when our flow grows and has a large number of steps.